Posthumous conception and outcome for children - what a mouthful, right? No worries, it's not as complicated as it sounds. The concept of posthumous conception and outcome for children may seem like an odd issue to discuss, but for some families, it's the only way to carry on the family bloodline. 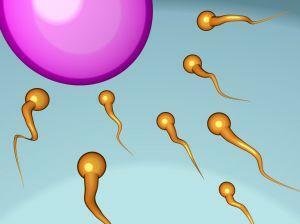 This practice refers to using the sperm of a deceased individual to conceive a baby. For example, a heterosexual couple may choose to save or store some sperm from the male partner. If the male partner dies unexpectantly, perhaps in an accident or from an illness, his sperm might still be used to conceive a child. Often when this happens, it's because a male has gotten sick, such as with cancer, and he stores his sperm in case treatment renders him sterile. However, in the event that he dies, the sperm may also be used after his death. Another term surrounding this issue is called posthumous sperm retrieval, where sperm is taken from a man who has been pronounced brain dead. Not surprisingly, this is a huge deal for women who may be considering this option of conception. Like any baby-making process, there are pros and cons that are related to personal situations, so stating general pros or cons is somewhat difficult, but the following are some ideas. Pros, of course, include a woman still being able to have the children from a man she loves. Other pros include carrying on a family name, or bloodline, fulfilling a male's wish to have children even if he dies, and more. Cons are single mothers having to raise children alone. While single mothers themselves are perfectly capable, research does show that children fair better (usually) with two parents. Other cons include costs, family objections, community objections, and weighing the ethics of such a choice. One last con is legality. While a child born to a man while he is living may be able to claim social security in the event of his death, a child conceived after a man's death may not be allowed the same benefits. The success rates of posthumous conception and outcome for children are not widely known. This is not a heavily researched area. Most of the time, research focuses on whether or not posthumous conception is ethical or if it should be legal. Still, the method of sperm retrieval and use for conception is the same as in what might be used in human artificial insemination techniques or in vitro fertilization. Sperm quality and sometimes quantity. Overall health of the woman. The health care provider the woman is seeing or clinic she goes to. Conception is affected by so many variable issues that success rates need to be discussed with a qualified health care provider, preferably a specialist in fertility. Everyone has an opinion on the ethics of using posthumous conception as a means to have a baby. Some are solidly against it and others are more open to the idea. It's up to a woman to decide where she stands on this topic ethically. Also, keep in mind that a woman may also have to deal with her family's ethics as well. Because legal issues often fall under or relate to society ethics, the legal situation behind posthumous conception is blurry. Some areas require written consent from the father before death while others don't. Some areas have no clear legal guidelines in place and courts simply arrive at sperm-use decisions on a case-by-case basis.